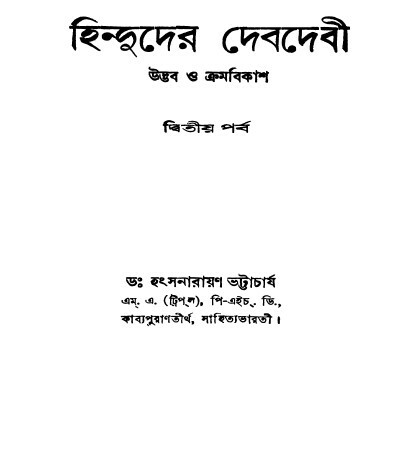 Friends, today I'll share with you an Old and rare ebook- Hinduder Dev Debi-Udvab O Kromobikash part-2 which written by Hans Narayan Bhattacharya, also I have shared its first part in previous post. Since the launching of the Indian civilization came the Worship of Hindu gods and goddesses. 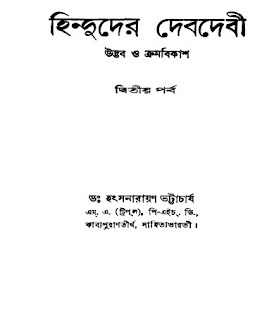 This book is presented of its evolution. Natural way, this book has many varied stories of the gods. Read or view this ebook.